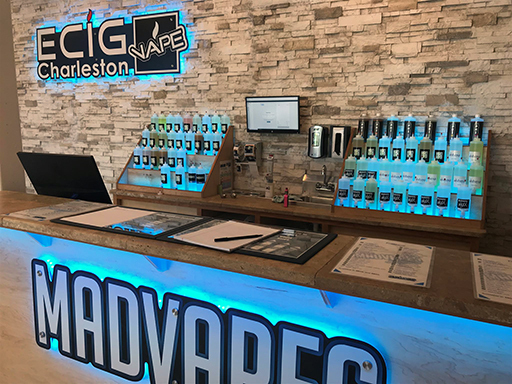 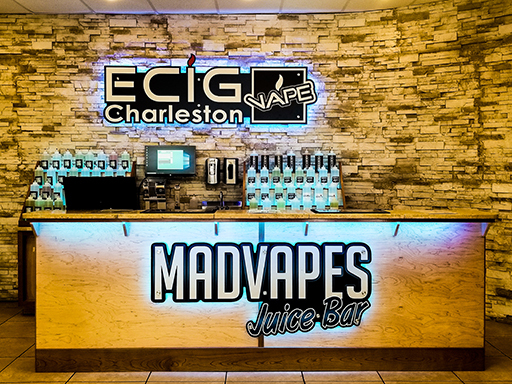 Ecigcharleston has teamed up with Madvapes to bring you nearly unlimited flavors mixed on site with the Madvapes Juice Bar. 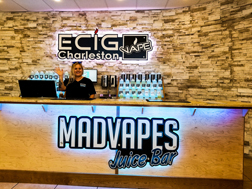 mixed on site at the new Mad Vapes Juice Bar! 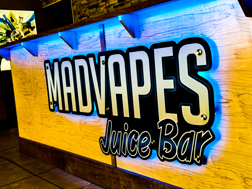 With over 80 Base flavors the options are nearly unlimited! 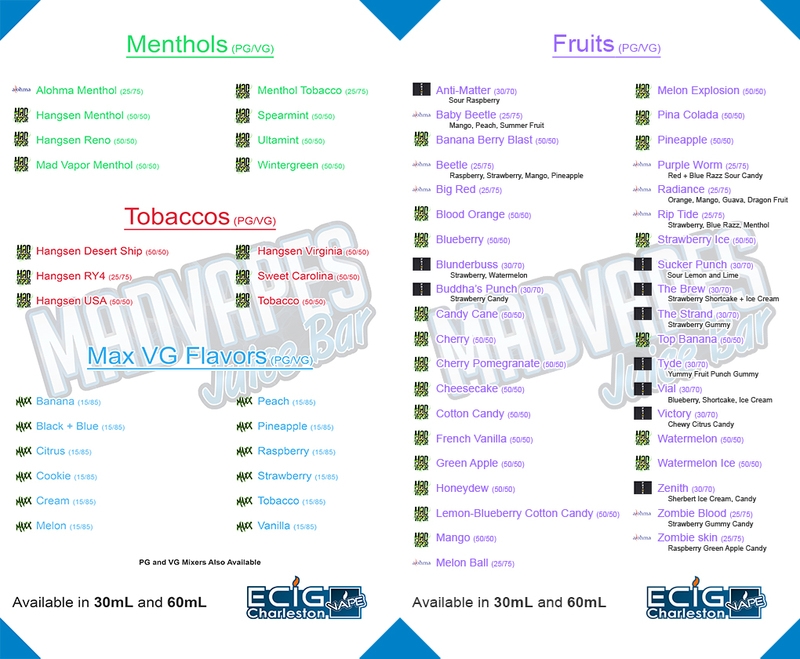 Take a look at our flavor menu. 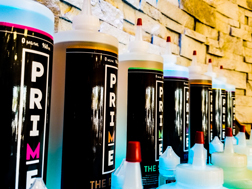 Come in and have us mix you up a batch of something unique!